Have you ever gone for a massage? Leaves you feeling relaxed, right? Benefits of massage go above and beyond relaxation to actually improve or even eliminate health problems. But many times going to the massage parlor is expensive, or there is no time. The solution lies in portable Vibration Massage machines that will do the work for you. Vibration techniques usually come at the end of a massage session and are used to further relax the client and stimulate the blood flow once more before the recipient gets off the massage table. The vibration movement both relaxes the underlying muscles and creates a body-wide sense of relaxation. Research recommends using vibration massage as a method of pain relief that doesn’t involve drugs. The vibrational massage helps relieve painful conditions by creating numbness in the afflicted area. Vibration can also help relax muscles surrounding the painful site, which can further reduce the pain. If you can’t apply vibration directly to the painful area, try using the technique above or below the injured area. One of the main such ailments that massage is used for is back pain. Sometimes painkillers are just not enough. More than one study has shown that headaches also respond to massage therapy. For many people, vibration massage has been proven to reduce the number of migraines suffered and improve sleep. You can have a vibration massage in your home or office with this massager. It's no secret that massage can relax you and make you feel good mentally. But did you know that it may even help treat anxiety and depression? Vibration massage is able to lower the body's level of cortisol, a stress hormone, by as much as 53%. Massage also appears to increase the feel-good hormones serotonin and dopamine. For me, the vibrations make me laugh even when I am in the foulest of moods - they tickle. In today’s society, high levels of stress and heart rate are not uncommon. People experience stress from all walks of life, whether you are a stay-at-home mom trying to run a family or a CEO of a large corporation struggling to make a deadline. Taking the time to relax and calm your nerves is more important than people actually realize. But many times you don't have that time in this past paced world, so, why not enjoy a massage in your work chair, car seat, bed, everywhere? Stress can cause tissue repair, such as wound healing, to slow down and can cause high blood pressure. Relieve stress at the end of the day with this massage pillow. Sh. 2909 on Kilimall. The advantages for vibration massage machines for muscle training are two-fold. First, by forcing your muscle(s) to hold a position on the vibration plate for a certain length of time, your body will begin to recruit and activate more and more motor points, to help maintain this contraction. Secondly, while the vibrations continue, the motor points that are recruited are forced to contract continuously, time after time, with no appreciable decrease in force output. This allows your muscles to achieve a state of maximum contraction very safely and effectively. The end result is that the entire muscle matures very quickly. Imagine having a massage everywhere.. even in the car? Sh. 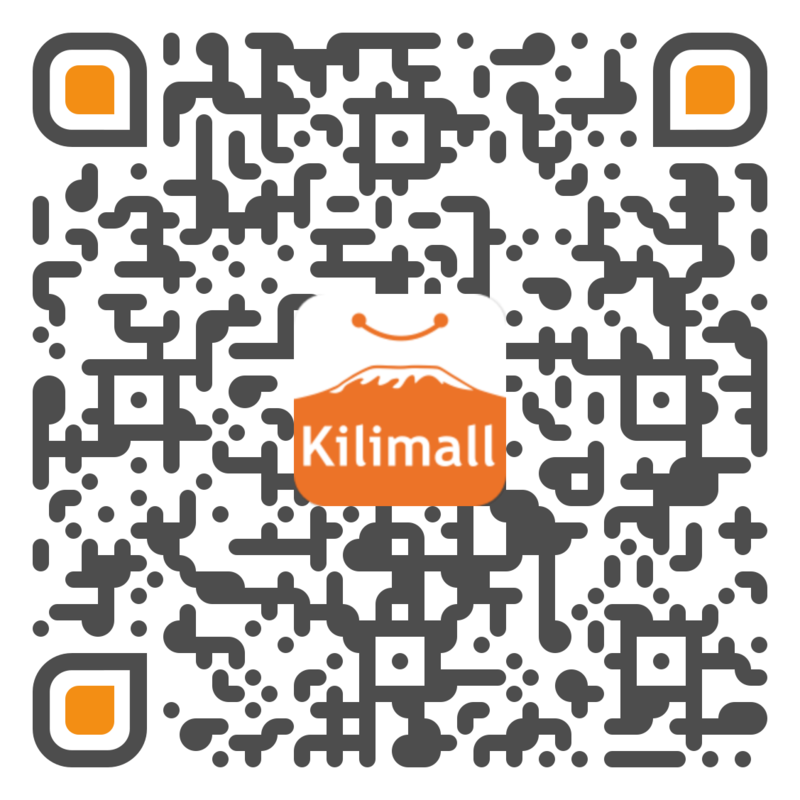 4075 on Kilimall. A commonly held belief among trainers and athletes alike is that massage increases blood flow, thereby decreasing lactic acid build up. Repeated compression and relaxation of the muscles causes blood vessels to be emptied and filled, which increases the removal of waste products like lactic acid. As a result, regular massage can greatly reduce muscle fatigue brought on by physical exertion. Massage is one of the ways to reduce stress and relax the body in order to prevent high blood pressure and an increase in heart rate. This 4 Pads Kit your full body a blissful vibrating massage. Available on Kilimall at only Sh. 562. Obesity and weight loss are directly influenced through vibration. Vibration develops leaner muscle tissue as it increases the metabolic rate resulting in a higher caloric burn. What's more, vibration training also results in a release of hormones. They are the key to your body type, what foods you crave, and where you put on weight. The combination of muscle strengthening, local fat burning, lymph drainage, increased blood circulation and the release of Human Growth Hormone leads directly and indirectly to a body shaping effect by a reduction in cellulite, less fat tissue and more toned muscles. Determine trouble spots, and attack them actively with the Vibration massage. Your skin will look noticeably smoother and more toned. Vibration massage can also be used successfully for cosmetic purposes. Vibration massage shows positive results in figure correction, such as improving collagen and reducing fat. Convince yourself! Like any other form of exercise, vibration massage raises your metabolism. As your muscles get stronger, they use fuel more efficiently, and as your blood circulation improves you'll have more energy. These things encourage your body to burn fat and calories from food faster, resulting in an increased metabolism. As your metabolism increases, you'll burn more fat, even when you're not working out. ===== There you have it. If you are not having massages, get one of these Vibration Massage machines on Kilimall and enjoy a vibration machine, anywhere and anytime. Don't wait, get one NOW!